Vessel's pumping rate will be 1,000 cubic metres per hour, says marine development manager. Energy major Shell said on Tuesday that a bunker barge for the delivery of LNG marine fuel will be operational in northwest Europe this summer, Platts reports. Arjan Stavast, Shell's global marine development manager for LNG, explained at the LNG Bunkering Summit in Amsterdam that the barge will be capable of supplying LNG at a rate of 1,000 cubic metres per hour. 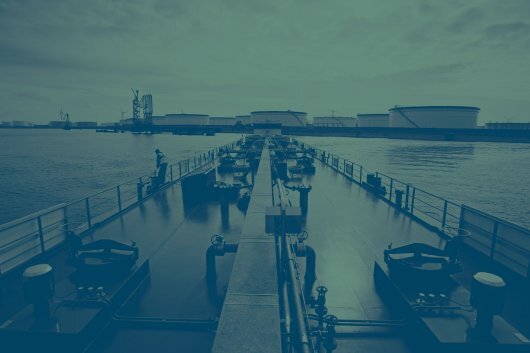 Currently, the majority of LNG bunkering in Europe is carried out using the truck-to-ship delivery method, which is said to be too slow and unsuitable for larger container vessels and tankers. Shell predicts global LNG bunker demand will rise to between 30 million and 35 million tonnes per year by 2040. Shell previously announced in December 2015 that it had signed a time-charter agreement with Plouvier Transport NV and Intertrans Tankschiffahrt AG for 15 new inland dual-fuel barges that are scheduled to operate in northwest Europe and predominantly run on LNG. The 110-metre-long barges are to be used to support Shell's growing operations in the ARA (Amsterdam-Rotterdam-Antwerp) and Rhinetrack (Germany/Switzerland) regions. A staggered delivery of the barges is expected to take place between now and mid-2018.